Consumer Reports has finished testing the iPhone X and the results are mixed. The phone features the best camera – for both stills and video – that CR has ever tested. The screen got high marks as well and the testers were generally pleased with Face ID (the lack of a Home button required only a short adjustment period). But the phone is found to be quite fragile. Of the three units tested, two had failed screens after 50 turns in the tumbling machine – that’s a $280 repair right there. The third unit had a “significantly” cracked back. 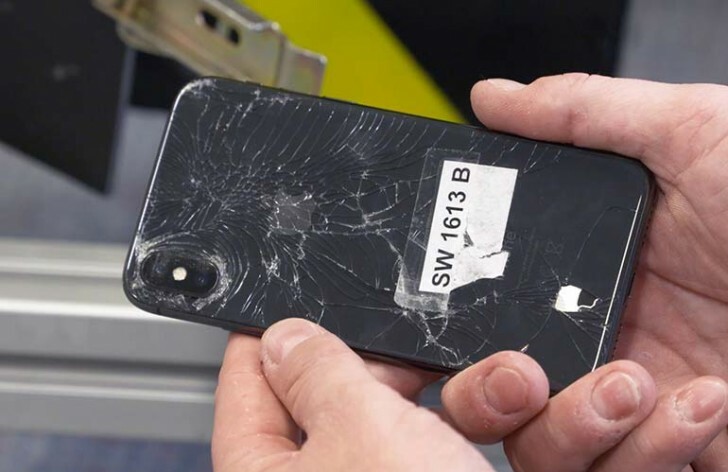 To its credit, the iPhone X did just fine on the drop test – 5ft falls onto concrete. And Samsung’s all-glass Galaxy S8 phones didn’t fare any better. The battery life also proved better – under testing, the X battery lasted 19.5 hours while the iPhone 8 Plus went on for 21 hours. The Galaxy S8 and S8+ lasted 26 hours. In fact, the iPhone X battery life is worse than the 38 phones CR recommends. If you’re fine with the $1,000 price tag, the iPhone X offers a stellar camera and points to the future of Apple design. But if you’re looking to save money or for something more durable, the iPhone 8 duo (even the iPhone 7) are a solid option. The fragile glass really hurt the X in the tests. This isn’t the first test to highlight how easy it is to crack all that glass or damage the screen. So in total the iPhone X scored lower than Samsung’s Galaxy S8/S8+ and the Note8. Knowing terms does not make you tech-savvy.